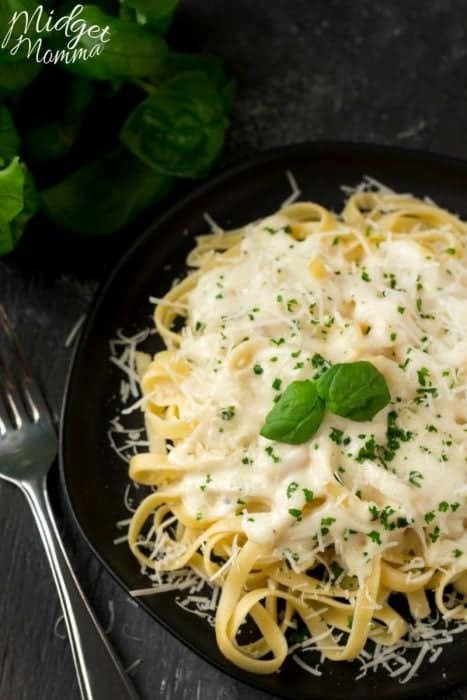 Roasted Garlic Cream Sauce! Perfect for Pasta & Meats! Pasta is a big thing in our house, it doesn’t matter what type of pasta I make, my kids eat it up! 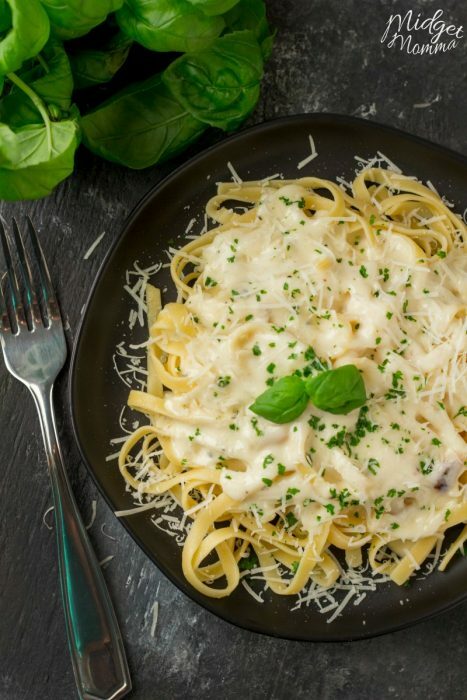 They love it when I make homemade alfredo sauce, but I have been making it so often I was in the mood for a change. I was pretty sure they were going to LOVE this Roasted Garlic Cream Sauce, and I was totally right. 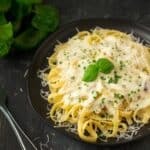 For those of you who are doing low carb, don’t worry this Roasted Garlic Cream Pasta Sauce goes amazing over zoodles too, so you won’t be missing out! If you’re looking to add a little extra protein to garlic pasta sauce you can add some grilled chicken or grilled shrimp. 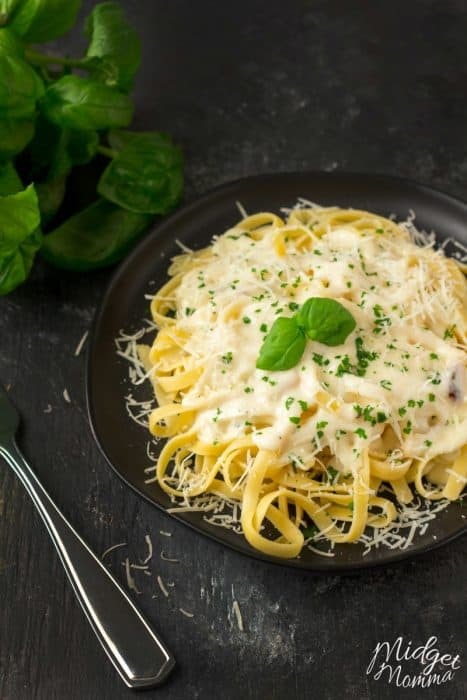 If you are looking to go the extra mile with this one, you can skip the boxed pasta and make some amazing homemade pasta. I take the short cut of boxed pasta when I am running short on time, but there really is nothing better then fresh pasta! If you end up with any leftover sauce this reheats well. You can just reheat it on a stovetop in a pot. 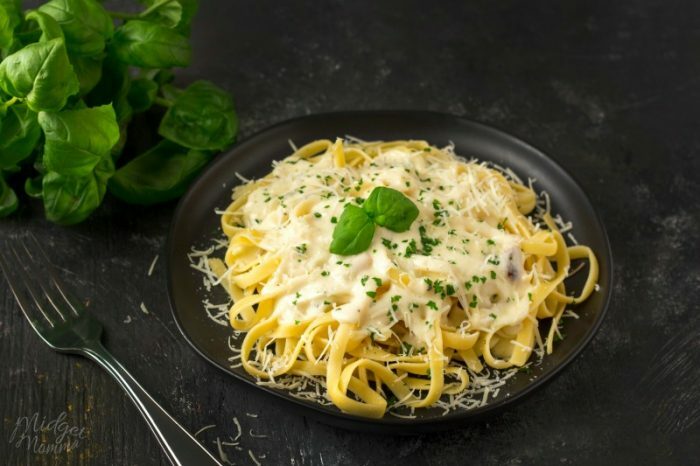 You will need to stir it well to create emulsion between the butter and cream again, but that takes just a few minutes and you have the smooth and creamy sauce again! 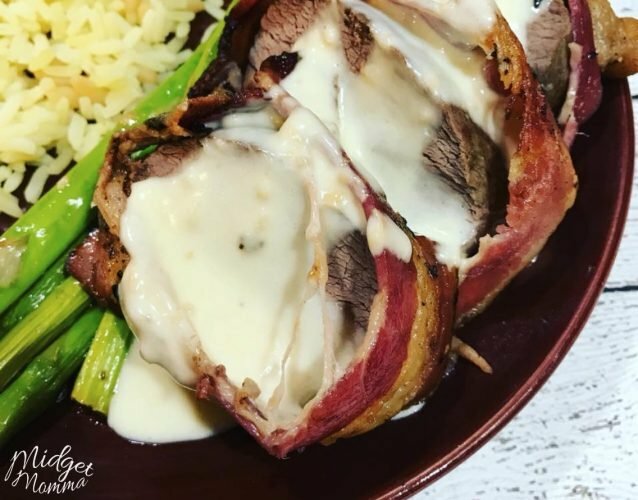 We made bacon wrapped venison a few nights ago and topped it with this garlic cream sauce and it was AMAZING! Next we are trying it on top of chicken! I have a feeling it is going to be amazing! This simple to make Roasted Garlic Cream Sauce is full of flavor. Perfect for being used over pasta or chicken! 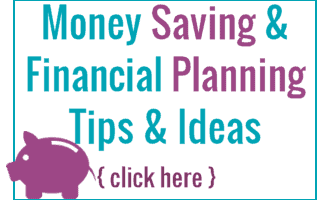 Trim the top off of your head of garlic and place it on top of a large sheet of aluminum foil. Drizzle the garlic with the olive oil. Wrap the garlic up in the aluminum foil and bake for 40 minutes. Once the garlic has cooled squeeze the garlic out of the skins. Smashed garlic with a fork to create a paste. Set this aside. Place your butter in a large saucepan and melt it over medium heat. Once the butter has melted stir in the cream and the garlic. Stir until the garlic is evenly distributed. Stir in the parmesan cheese and pepper, stir until melted. In a small bowl combine your melted butter and flour together to create a paste. Pour the mixture into the simmering cream and stir until the sauce has thickened, about 5 to 10 minutes. 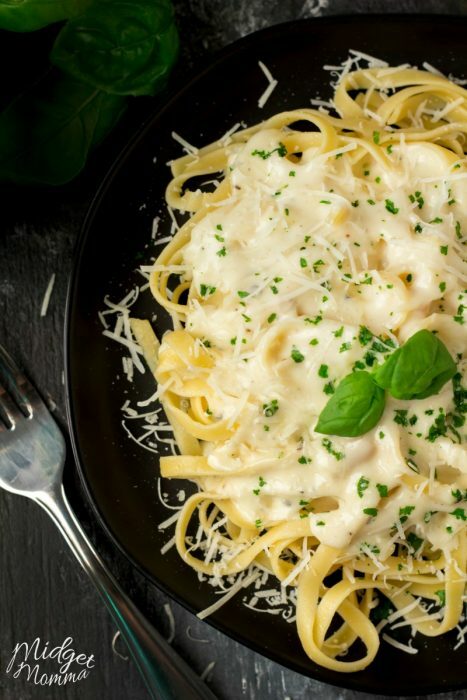 Serve over your favorite pasta and top with extra Parmesan cheese. **NOTE*** To make this recipe Keto Friendly omit the flour and let the sauce simmer a little longer until it thickens up. What is the unit of measure for the parmesan cheese? The recipe just says “1 1/2 parmesan cheese”. 1 1/2 cups? 1 1/2 Tablespoons? I’m eager to try this recipe once I know how much cheese to add. 😉 Many thanks!!! Sorry, it is now fixed, it was cup. Looking forward to trying this. Would also love your Bacon Wrapped Venison recipe! !